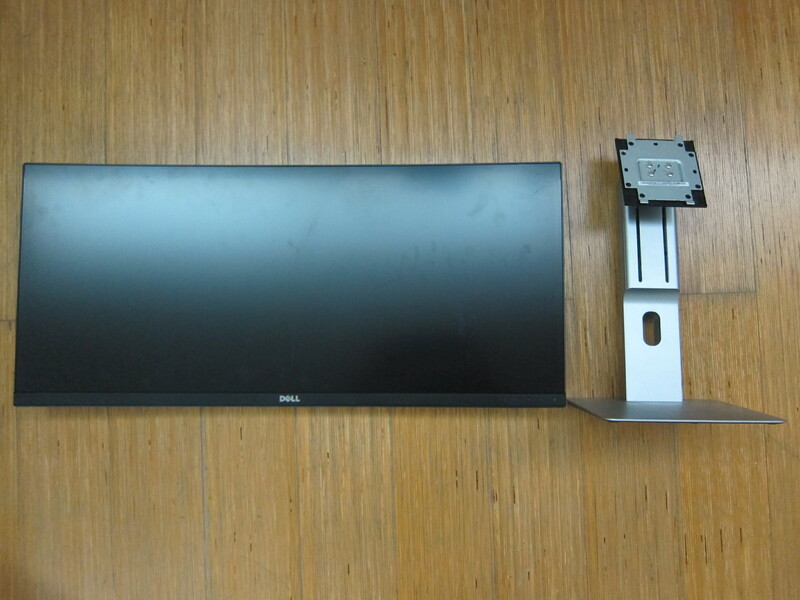 The Dell UltraSharp U3415W 34″ Curved Monitor has been available in Singapore since mid-December 2014 (I didn’t realised that) for S$1,499. I personally think that the price is pretty reasonable since Dell’s high-end monitors are always about that range. In fact the U3415W is the cheapest of the high end Dell monitors. 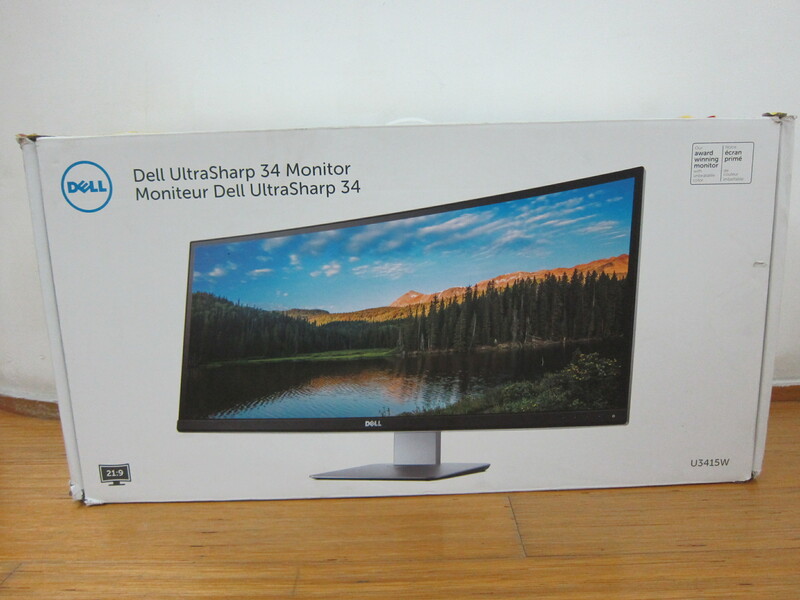 The Dell UltraSharp UP2715K 27″ Ultra HD 5K Monitor cost S$2,699 and the next in line is the Dell UltraSharp UP3214Q 32″ Monitor which cost S$2,259 and followed by the Dell UltraSharp U3014 30″ Monitor which will set you back S$1,749. 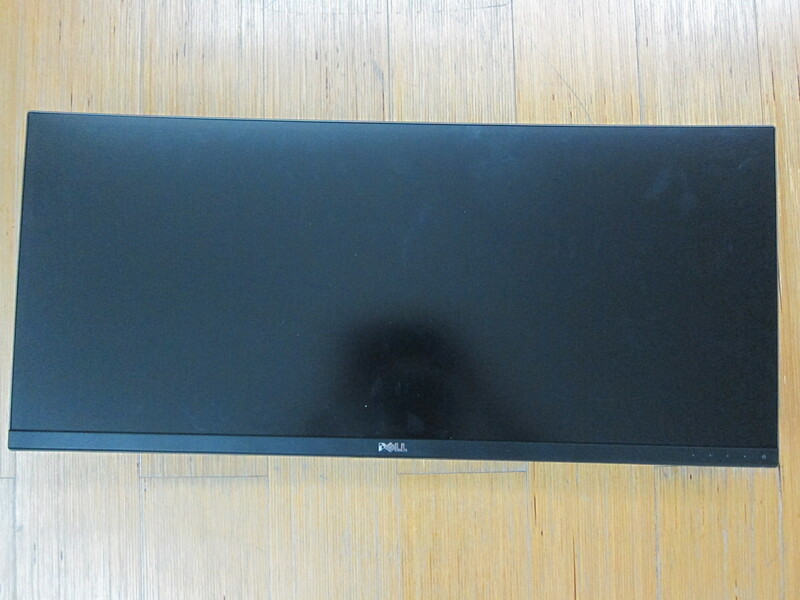 As mentioned in my previous Dell UltraSharp U3011 30″ Monitor Review, all Dell’s UltraSharp monitor comes with Dell’s Premium Panel Guarantee, which means you will receive a panel exchange even if there is only one bright defective pixel on your monitor during the limited hardware warranty period which is 3 years. 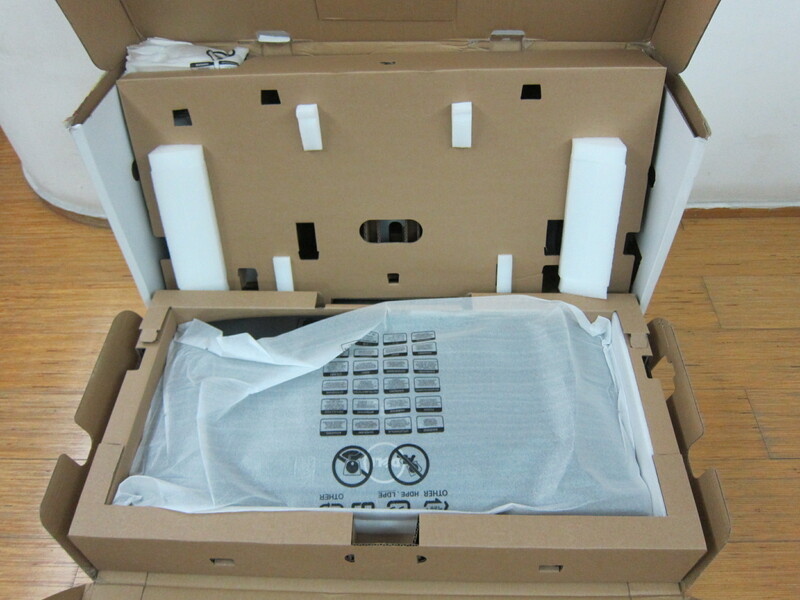 The packaging box itself is heavy, I weighed it and it weighs 18kg. 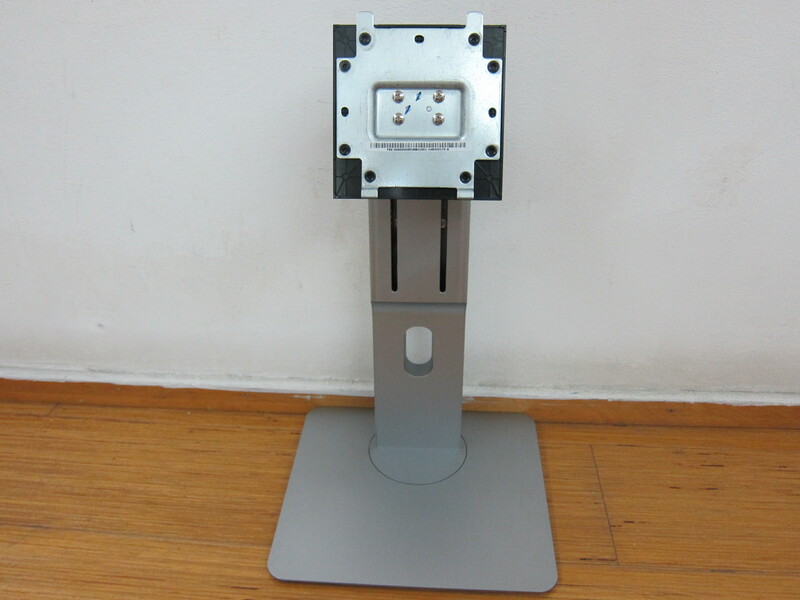 The monitor with the stand however weighs only 10.8kg which is not that heavy. The box contents of the U3415W is pretty standard except for the Back Panel Cable cover which I have not seen it before. 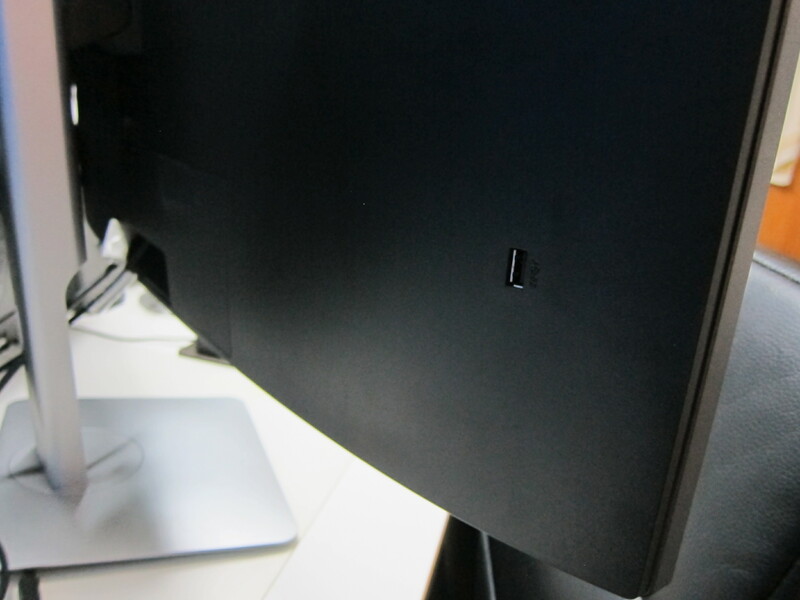 It is basically for you to cover up the ports at the back of your monitor so that it looks nicer. 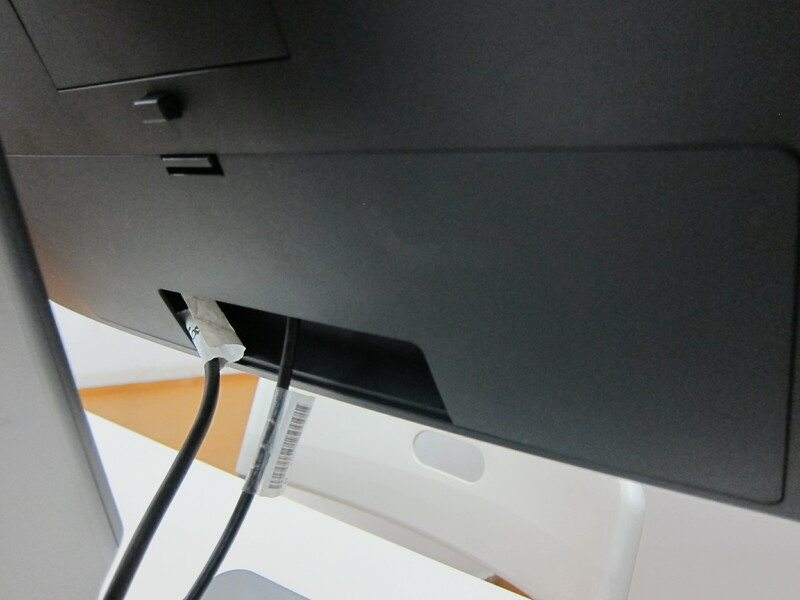 I find it quite troublesome to cover it up because it makes plugging in and removing cables very troublesome unless of course you are not doing that often. I like that it includes the Mini-DisplayPort to DisplayPort cable in the box. This allows me to use it straight out of the box with my MacBook Air/Pro without the need to get additional cables or adapters. In case you are wondering, the U3415W doesn’t include DVI or VGA ports. 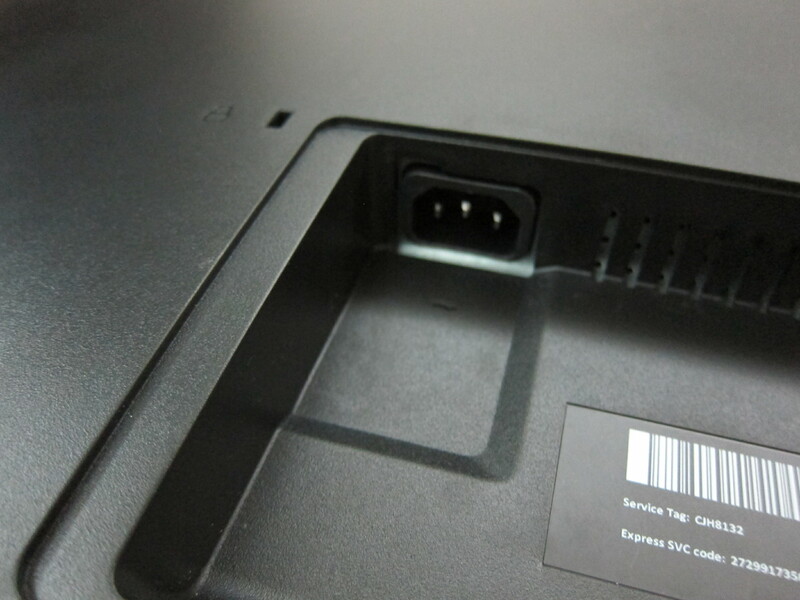 The MHL port allows you to connect your tablets or smart phones directly to the monitor using a MHL cable. 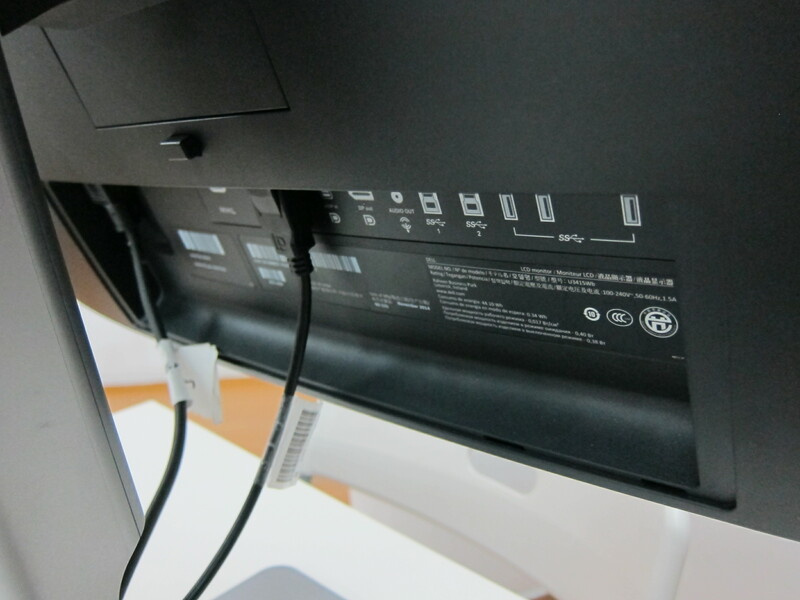 Previously, we are all using MHL adapters so that you can connect a HDMI cable from your TV to the adapter and then the adapter to your phone. 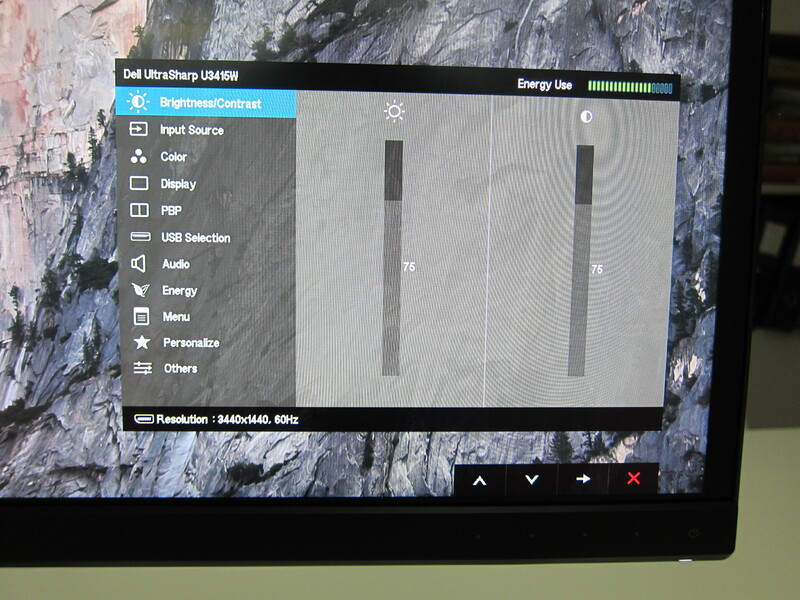 There are two DisplayPorts, one for input and one for output (DisplayPort out). 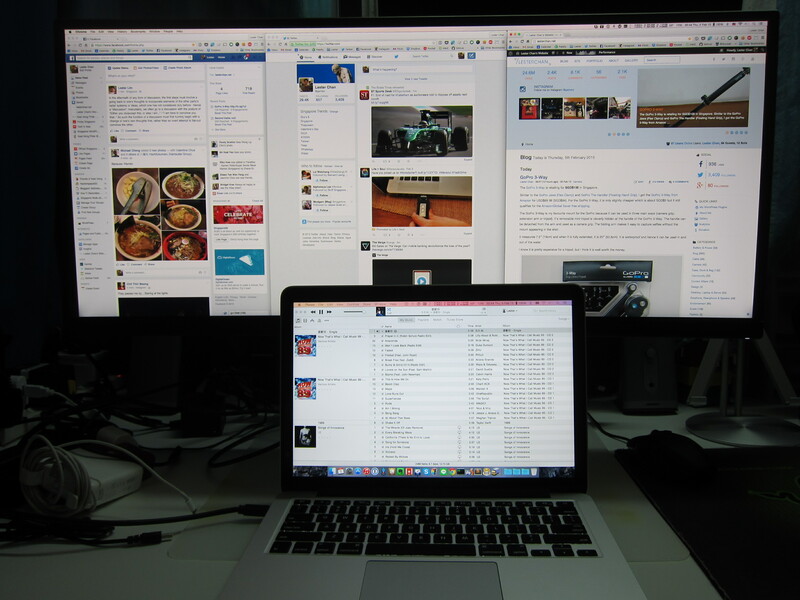 You can use the DisplayPort out to daisy-chain with multiple monitors (Multi-Stream Transport) that has a DisplayPort. In the official specifications it states that “Headphone usage is not supported for the audio line out connector”. But apparently, it is not the case. I tested it with my Bose AE2i Audio Headphones and it works just fine. There are four USB 3.0 ports on the U3415W, three at the bottom where all the ports are located and one on the left at the back. 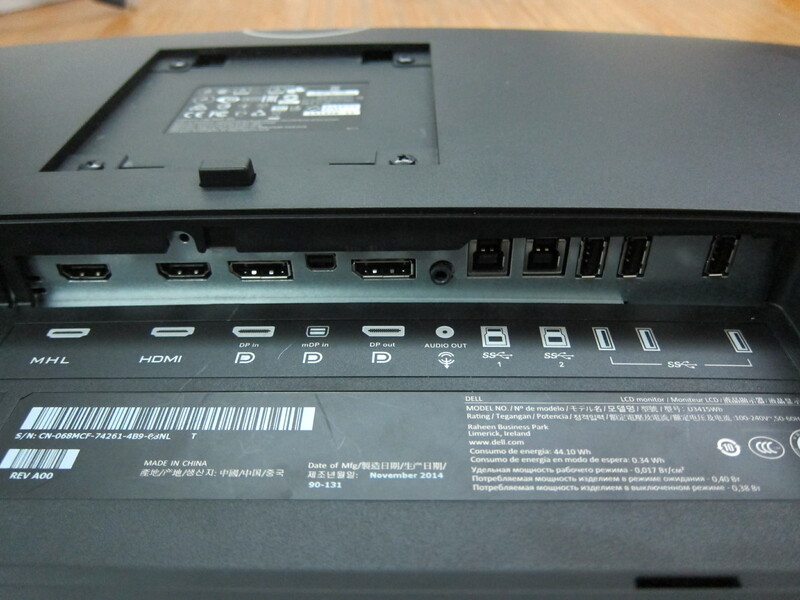 The two USB 3.0 upstream ports are mean for you to connect to your computers so that the monitor can act as a USB 3.0 hub using the four USB 3.0 ports mentioned above. Despite there are two USB 3.0 upstream ports, you just need to connect one USB 3.0 upstream port to your computer. 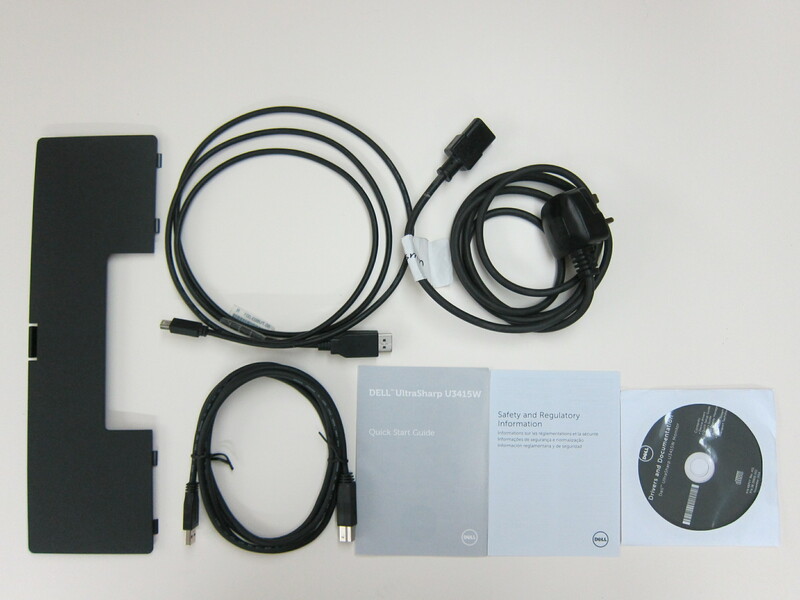 I wish it has a SD card reader built into the monitor like my Dell UltraSharp 2408WFP 24″ Monitor. Little did you know that the U3415W has a built-in stereo speakers that is decent. 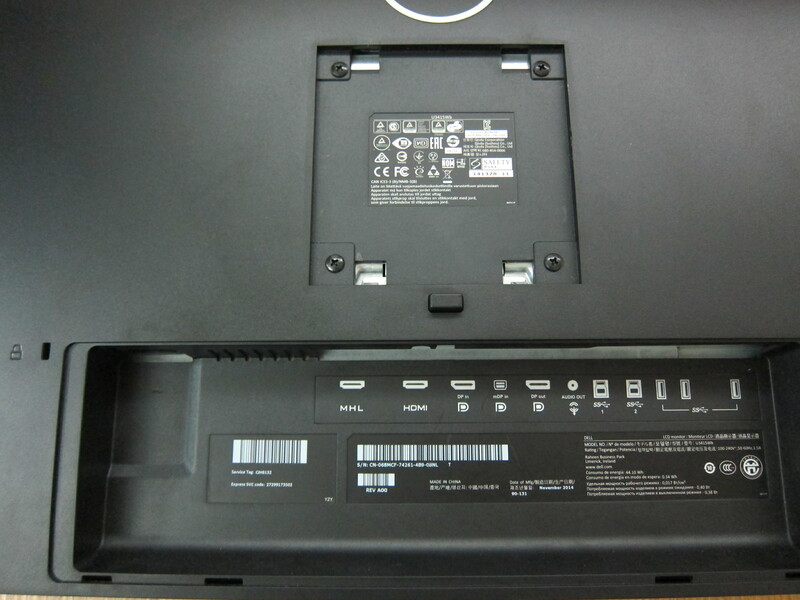 The speakers are capable of producing 18w (9w for each speaker). At 50% volume level, it is already pretty loud, though the bass is weak. 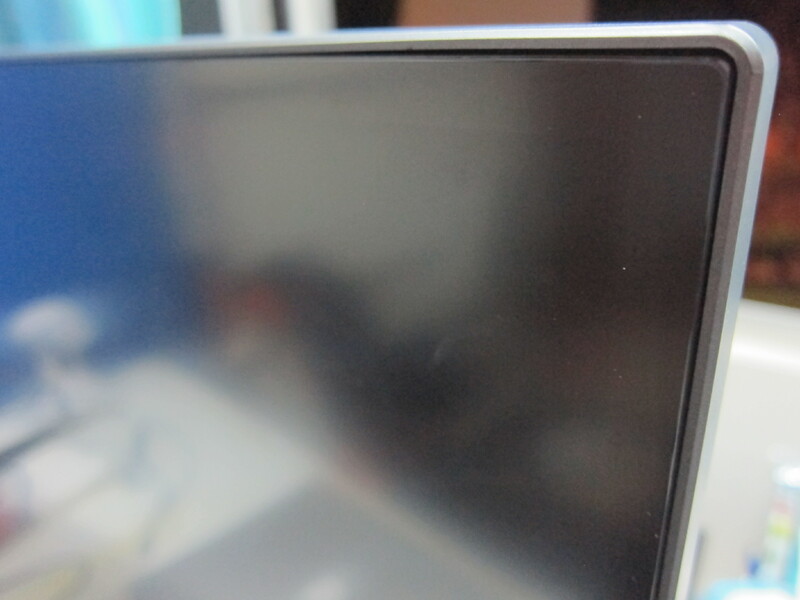 When the monitor is switched off, it will look like it is borderless because the bezel is only 0.3cm thin. 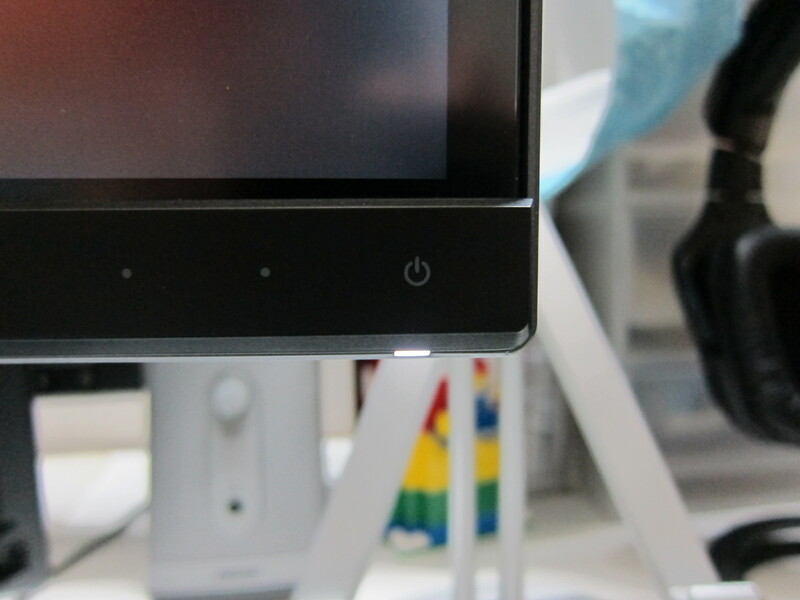 When it is switched on, there is a 1cm border around the display area. 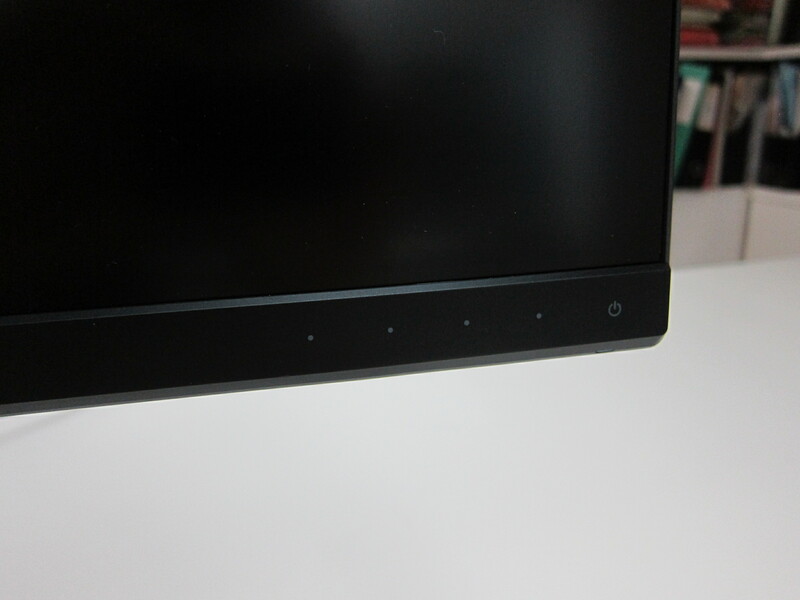 I wish Dell makes that border thinner or make it edge-to-edge. 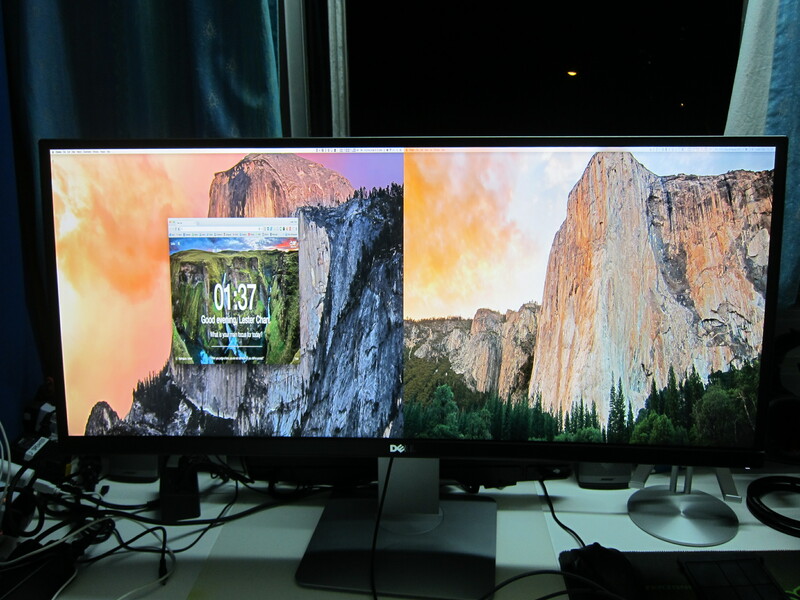 The U3415W is Dell’s first curved monitor running at 3440×1440 (WQHD) with a aspect ratio of 21:9. 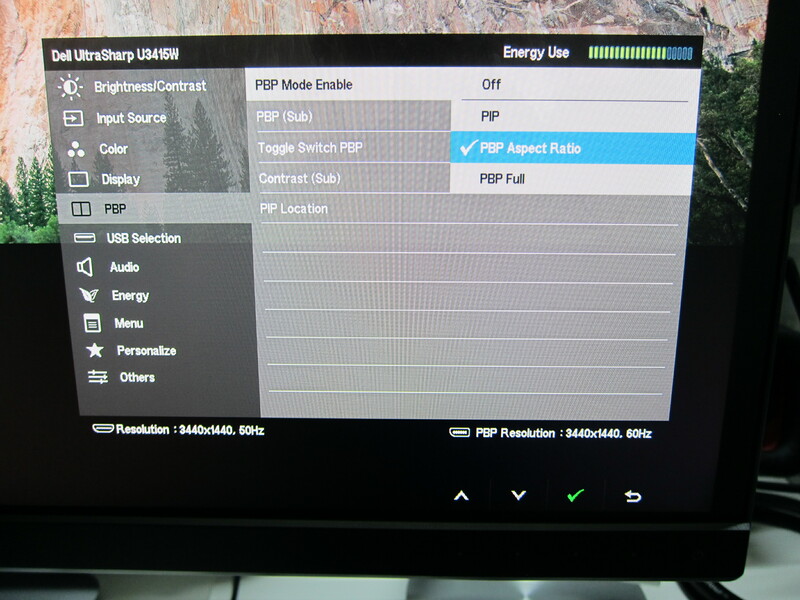 A full-HD (1080p) resolution is 1920×1080, while a 4K (Ultra High Definition) resolution is 3840×2160 and hence the U3415W is close to 4K but it is not a 4K monitor. Having a aspect ratio of 21:9 is weird, because most *ahem* movies these days are on 1080p and hence there will be a black border on the left and right of the screen aka letterboxing when you are watching movies. If you are using it for surfing the Internet, you can open up three Chrome windows side-by-side comfortably. 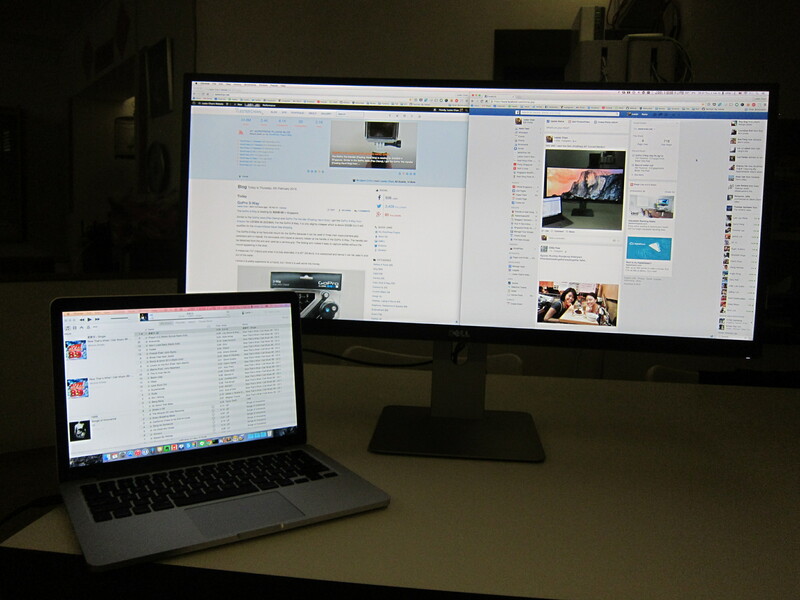 This is my favourite use of a widescreen monitor. 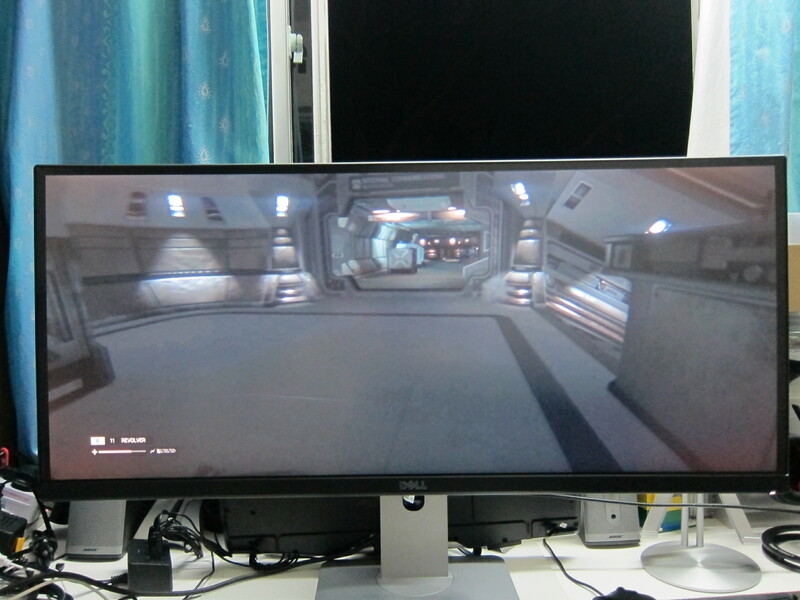 If you are playing games, it will be better because there are quite a number of games that supports 21:9 resolution especially if you bought it from Steam or Origin. You just have to make sure your graphics card is able to support such high resolution. Credits to koroshiya8 on HWZ Forums for the information, since I don’t play much games these days. 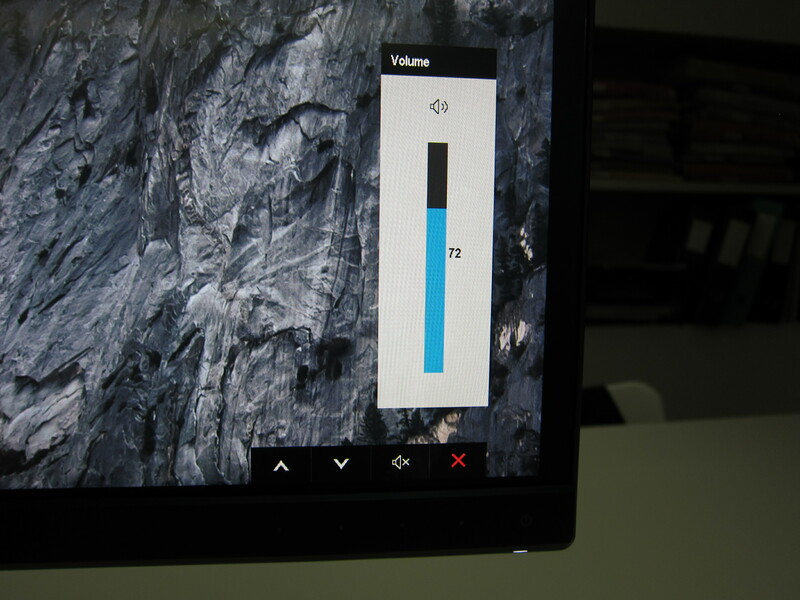 Picture-by-picture or Picture-in-picture is a feature of the U3415W that allows you to display contents from two different computers on the U3415W. Picture-in-picture is something televisions have for years, I remember using that feature on my auntie’s Sony TV back in 1998! Picture-by-picture places two display side-by-side and because it might not be at optimal resolution, the display will look out of proportion. Picture-in-picture is a better option because it takes the main display at native resolution and overlay a small secondary display window over it (you can choose where it appears). As mentioned earlier, there are two USB 3.0 upstream ports, you just need to plug one into your computer. The other USB 3.0 upstream port is there in case you need to use two computers with the U3415W. 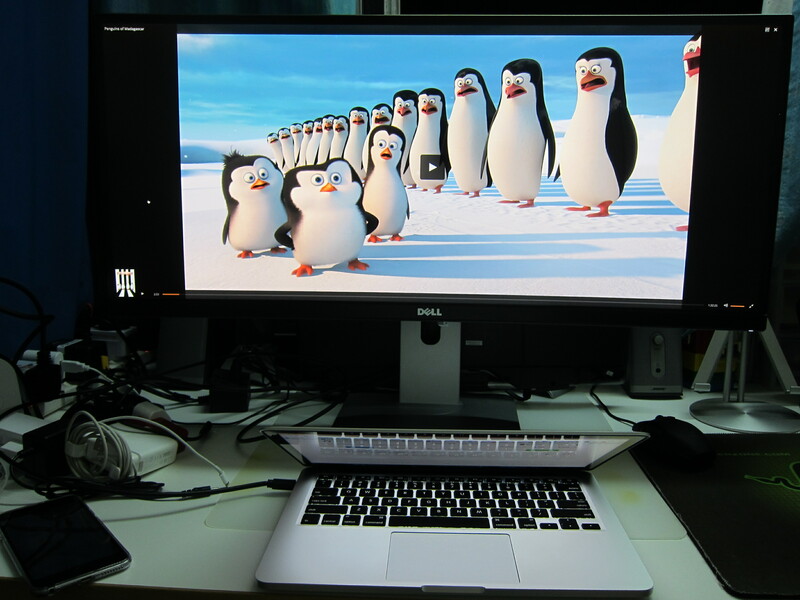 By plugging one USB 3.0 upstream port to each computer and by plugging the keyboard and mouse to the U3415W, you can control both computers by using just one keyboard or mouse. Personally, I find this feature a little gimmicky and I doubt I will use it. 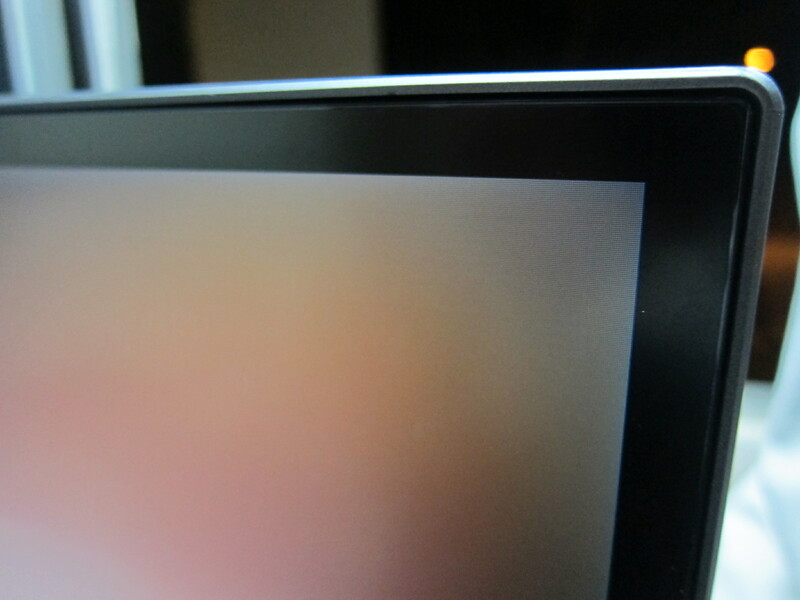 The good thing about curved screens are that they are really immersive. I am skeptical about getting a curved screen television because it is immersive only when viewed at a certain angle and television is meant to be watch by the family or guests which means they might be watching it at various angles. 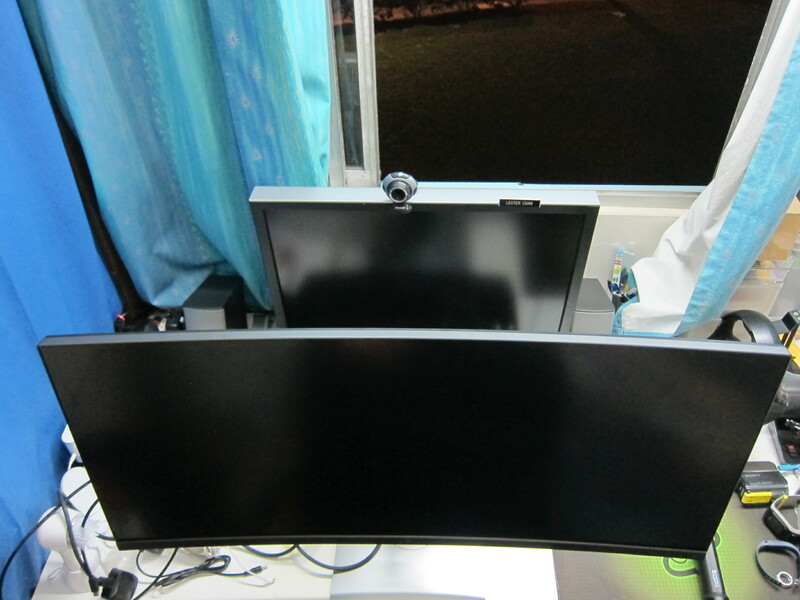 However for monitor, it is meant to be used by one person only and hence it is ok to get a curved screen monitor. 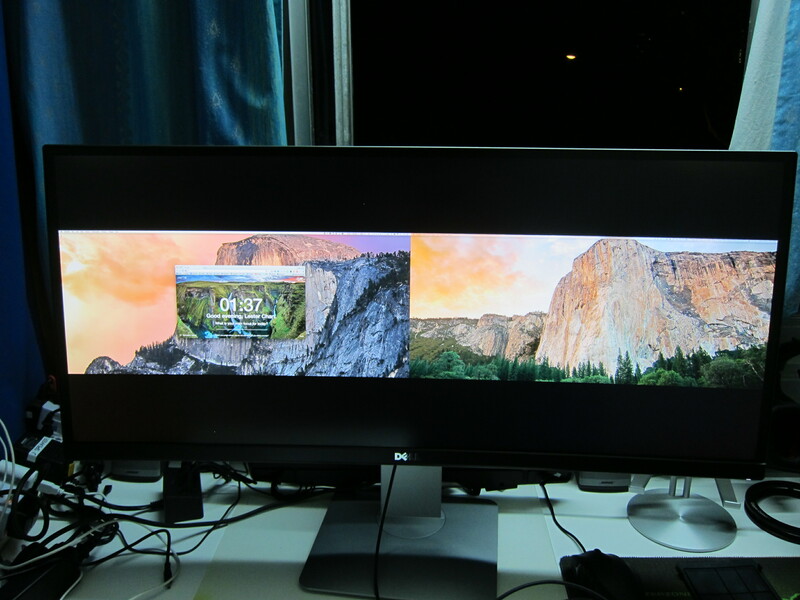 Personally for multiple-display setup, I like the idea of a single widescreen monitor that fits multiple windows rather than combining two thin-bezel monitors. 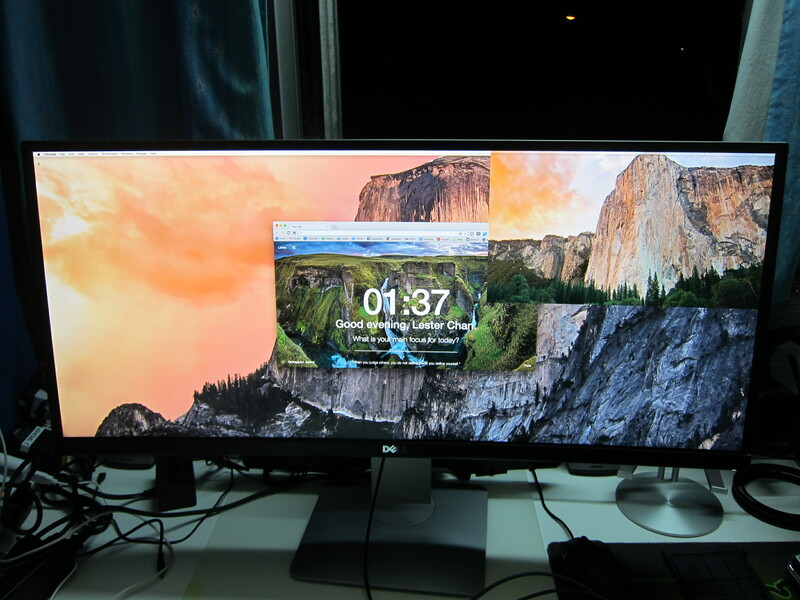 Firstly, the display is seamless and secondly it doesn’t use much cables. The only downside to that is normally the single widescreen monitor will cost slightly less than two thin-bezel monitors while also providing lesser resolution. 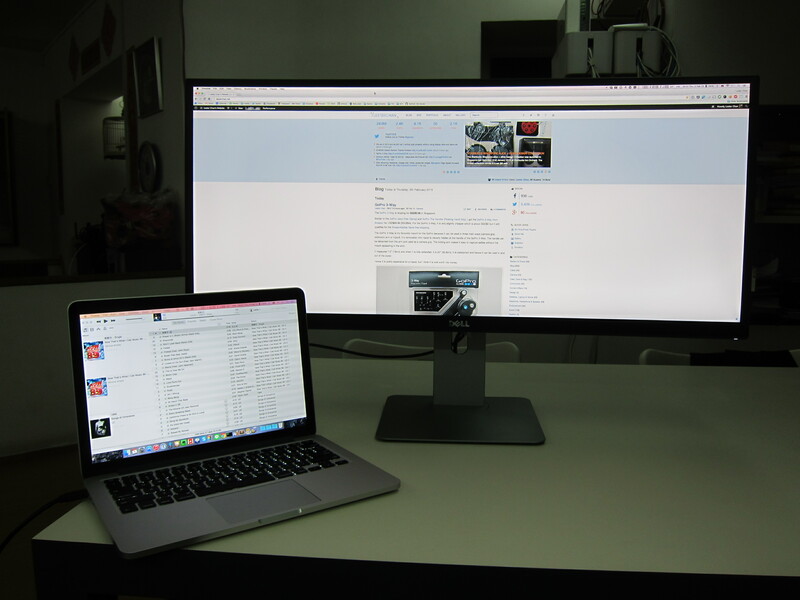 For example, two Dell UltraSharp U2715H 27″ Monitors will set you back S$1,638 (S$819 each) and it gives you a combined resolution of 5120 (2560×2) x 1440 while a single Dell UltraSharp U3415W 34″ monitor will set you back S$1,499 and only gives you a resolution of 3440×1440. The only advantage that the U3415W has is the immersive curved display. Having a single widescreen monitor is also a single point of failure. If it is spoiled, there goes one lump sum of your money. 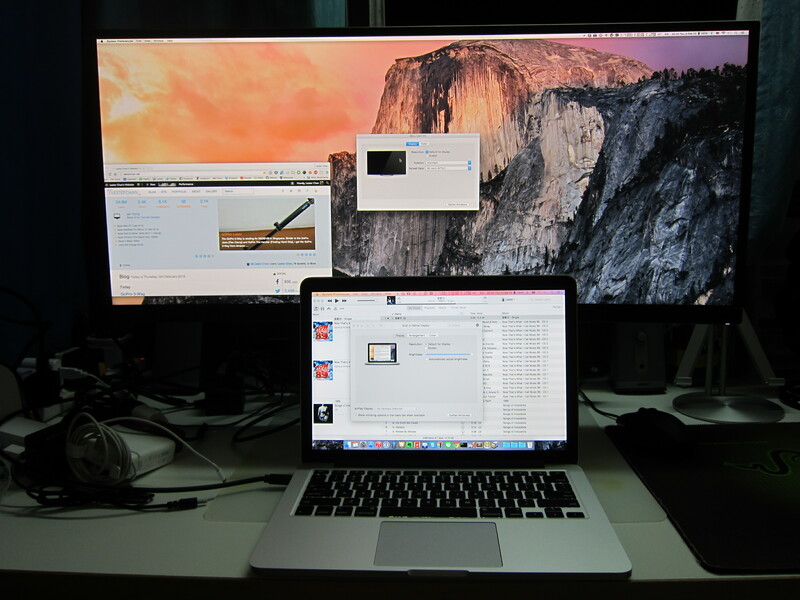 However, if you have two monitors, only half of your money is gone if one monitor is spoilt. 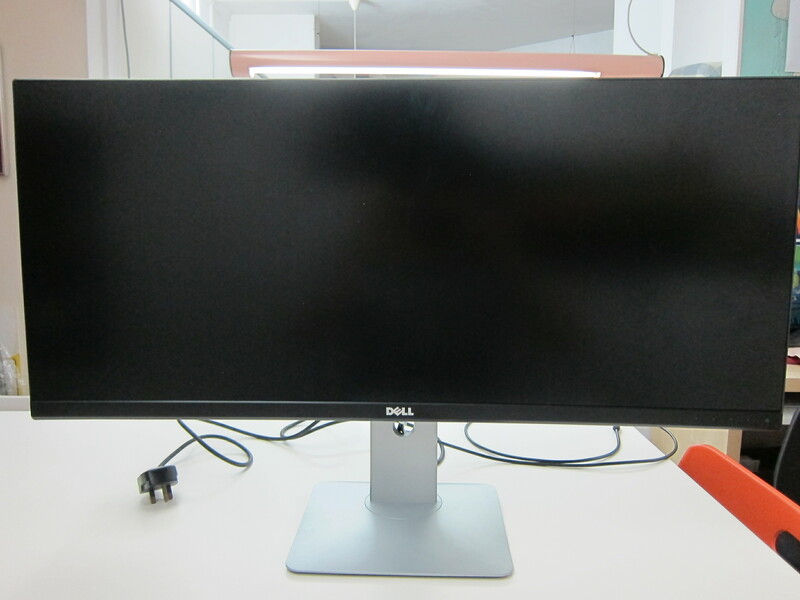 I am very tempted to get this monitor or 2x Dell UltraSharp U2715H 27″ Monitors to replace my 7 years old Dell UltraSharp 2408WFP 24″ Monitor. I have not yet decided because the badgood thing about Dell is that it is too lasting and I have no excuse to get a new one. 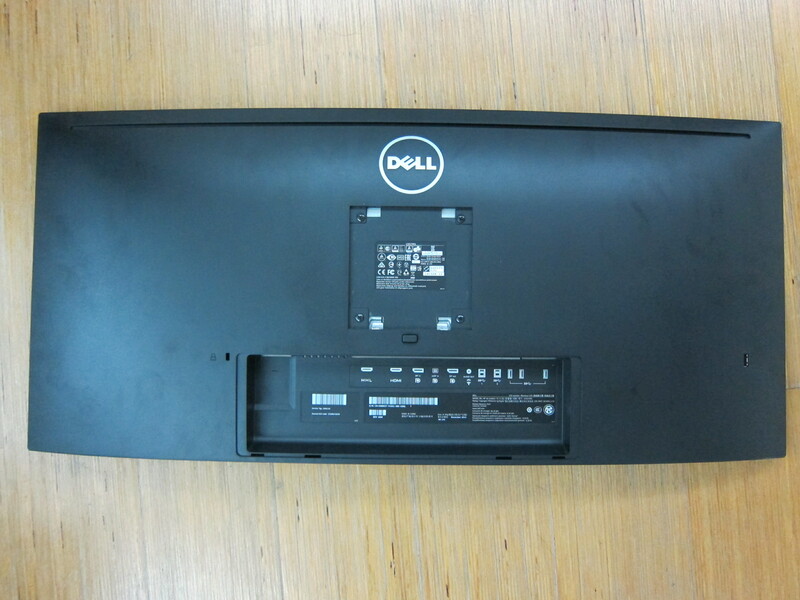 PS: Checkout HardwareZone Forum’s [Monitor] Dell U3415W thread for more discussion. This page is generated on 18th April 2019, 14:53:19 (UTC) in 0.535s with 22 queries using 4.0 MiB of memory.